NeoStrata Skin Active Matrix Support SPF 30 reinforces your natural cell structures as it defends your skin from environmental aggressors to reduce and correct the visible signs of aging. NeoBlucosamine and retinol diminish fine lines, wrinkles and promote firmness while advanced peptides encourage collagen synthesis. 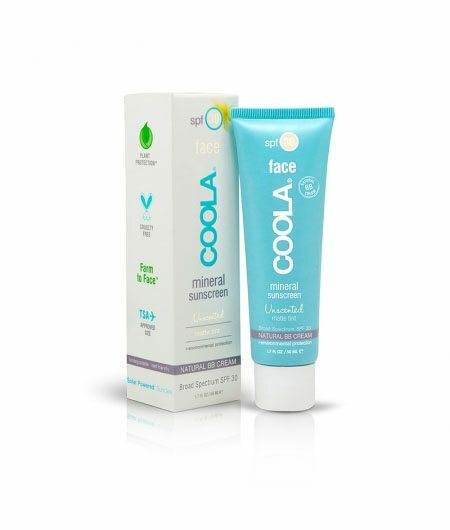 Coffee berry, pomegranate and vitamin E deliver intense antioxidant protection. This advanced SynerG Formula includes three clinically proven technologies, each with a unique action, for greater skin repair and strengthening. Peptides act as messengers to help increase collagen. Patented NeoGlucosamine® and retinol work together to target hyaluronic acid, skin’s natural support, enhancing skin’s plumpness and firmness, and smoothing wrinkles from the inside out. A potent antioxidant complex containing pomegranate, Vitamins A & E and coffee arabica berry helps protect skin’s matrix against further damage to collagen and neutralizes free radicals, allowing the skin to repair itself. UVA and UVB filters shield the skin from the burning and aging effects of everyday sun exposure. NeoGlucosamine® and retinol combine to increase cell turnover, diminish the appearance of fine lines and wrinkles and increase clarity. NeoGlucosamine® also inhibits tyrosinase, a key enzyme in melanin production, reducing the appearance of skin discoloration like age spots. Non-comedogenic. Nonacnegenic. 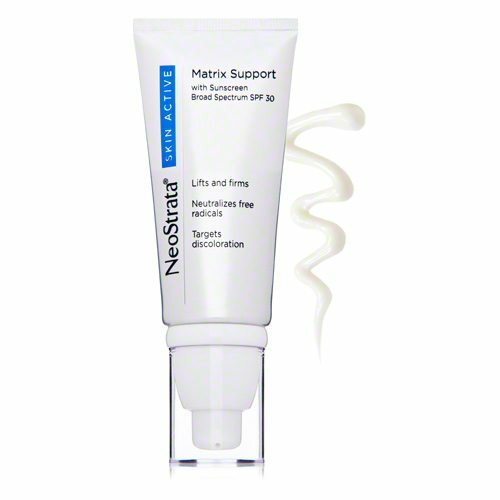 NeoStrata Skin Active Matrix Support SPF 30 is formulated to synergistically repair skin’s matrix support structure and reduce the appearance of uneven pigment for firmer, smoother, more luminous skin. Butyl Methoxydibenzoylmethane (Avobenzone) 3.0%, Ethylhexyl Methoxycinnamate (Octinoxate) 7.5%, Ethylhexyl Salicylate (Octisalate) 5.0%, Homosalate 5.0%. Aqua (Water), Acetyl Glucosamine, Butyloctyl Salicylate, Glyceryl Stearate, Butylene Glycol, Butyrospermum Parkii (Shea Butter), Dimethicone, Cetearyl Alcohol, PEG-100 Stearate, Nylon-12, Triacontanyl PVP, Retinol, Tocopheryl (Vitamin E) Acetate, Palmitoyl Oligopeptide, Palmitoyl Tetrapeptide-7, Punica Granatum (Pomegranate) Extract, Coffea Arabica Fruit (Coffee Bush Berry) Extract, Rosa Damascena Flower Oil, Arginine, Glycerin, Propylene Glycol, Caprylyl Glycol, Citric Acid, Disodium EDTA, BHT, PEG-40 Stearate, Ceteareth-20, Polysorbate 20, Triethyl Citrate, Xanthan Gum, Methyldihydrojasmonate, Ethylene Brassylate, Chlorphenesin, Phenoxyethanol, CI 19140 (Yellow 5), CI 17200, (Red 33).